Thank you to our vendors, our speakers, our volunteers, and everyone who attended UNC CAUSE 2016! 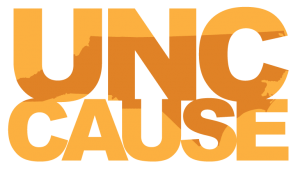 We'll see you in Wilmington Oct. 2 - 4 for UNC CAUSE 2017! Welcome to Day 2 of UNC CAUSE 2016! We hope the conference has started well for all of you and you are already learning new things, meeting new people, and building relationships with like-minded individuals. Please remember to complete the session feedback survey for each session you attend. Your feedback allows us to continue to improve UNC CAUSE each year. We had numerous folks sign up for unconference sessions. All of these will be held in the unconference room and have been updated on the online schedule and we’ve included the list below. As mentioned yesterday, due to the impending arrival of Hurricane Andrew, there have been several presentations that have been cancelled, resulting in items shifting around. Please check the online schedule for the most up-to-date schedule of sessions. Tonight’s evening social will be held at the Millenium Center beginning at 6:00pm. Please join us for dinner, drinks, music, and dancing! All made possible by our generous vendors. Thank our Vendors, Get Coffee! As mentioned yesterday, please take time to visit our vendors, learn more about what they have to offer your campus and say thanks for their support of this year’s conference. Coffee and water are available in the vendor room all day and all breaks will be held in South Main Hall as well. If you have any questions, please stop by the registration table or contact us via social media or online. Remember to use the hashtag #unccause to tag your posts in social media! Welcome to UNC CAUSE 2016! We’re here. The moment’s arrived. It’s time for CAUSE 2016, folks! Registration opens Wednesday at 10:00 am in the foyer (upper level) outside the Vendor room (South Main Hall). Enter via the entrance across the street from Embassy Suites. The Opening Session begins at 1:30 pm in the North Main Hall. The Vendor Area will open at 12 noon on Wednesday. As a reminder, the theme this year is More than a conference and we’re focused on connecting users with special interest groups (SIGs) that they’ll want to continue to be a part of all year long. Be sure to look through the SIGs on the schedule and find one or two you might like to be a part of! Please remember to complete the feedback survey for the sessions and events you attend. You can do this via the online schedule. We appreciate your feedback! Session slides (if available) will be posted in the online schedule. Remind your presenters to share! We’re excited about our evening events and hope to see you there. We’ll be in the Vendor room in Benton Wednesday evening starting at 5:30pm for appetizers and drinks. And join us at 6pm Thursday night for More than a Thursday Night Social at the Millennium Center! As an FYI, meals included with UNC CAUSE registration include: breakfast, lunch, and dinner on Thursday, October 6; breakfast on Friday, October 7. Lunch and dinner are NOT provided on Wednesday, October 5. For more information on parking at the Benton Convention, visit http://www.twincityquarter.com/assets/map-downtown-parking.pdf. If you have any questions, contact CAUSE Planning Team at 828-773-1952. Thanks so much to our Vendors for their outstanding sponsorship; be sure to visit them while you’re here. We also need to thank all our speakers and presenters – we couldn’t do this without you! 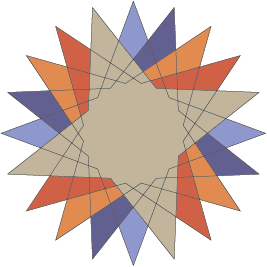 The theme for this year’s conference is “More than a Conference” and that “more” is all about our SIGs. Special Interest Groups are a great way to formalize the networking we do at CAUSE every year so we can keep the channels of communication open and the ideas flowing. With that in mind, UNC CAUSE governance is hoping to more concretely define these SIGs; our goal for this year’s event is to establish some official SIGs, find some leaders, develop plans for on-going communications, and hopefully see some regional or mid-year SIG-focused events. To help us in this process we’re collecting feedback from our participants and other interested UNC CAUSE alum about the types of groups they would like to see developed into SIGs. There are some obvious ones, but we’re also hoping to collect some not-so-obvious ones. So please consider completing the survey below to let us know your ideas.